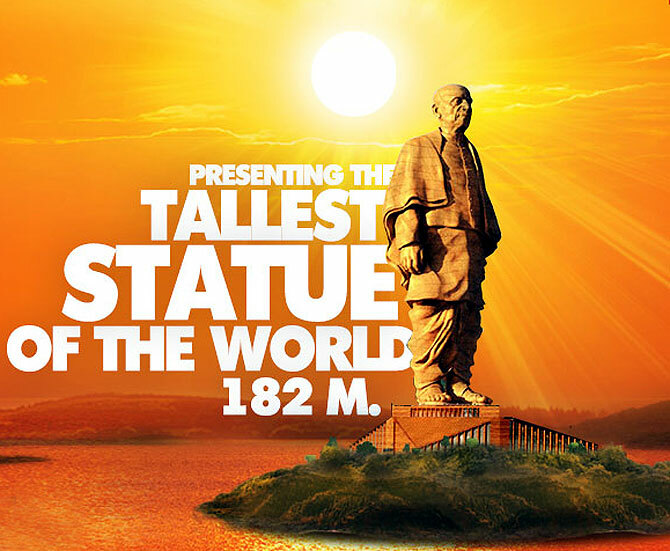 On Wednesday October 31, Prime Minister Narendra Modi will unveil the world's tallest statue, called the 'Statue of Unity', dedicated to late independence leader Sardar Vallabhbhai Patel. The towering monument, being erected at Sadhu Bet, 3.32 kilometre from the Sardar Sarovar Dam on the Narmada river at Kevadia, stands at a height of 182 metre. Ahead of its grand inauguration, we reproduce this feature on the creator of this massive statue, Ram Vanji Sutar. He may be history's most prolific monumental sculptor, and now he hopes to win what may be one of history's largest artistic commissions. Ram V Sutar, 93, has already created more than 200 distinct statues, many of them massive. 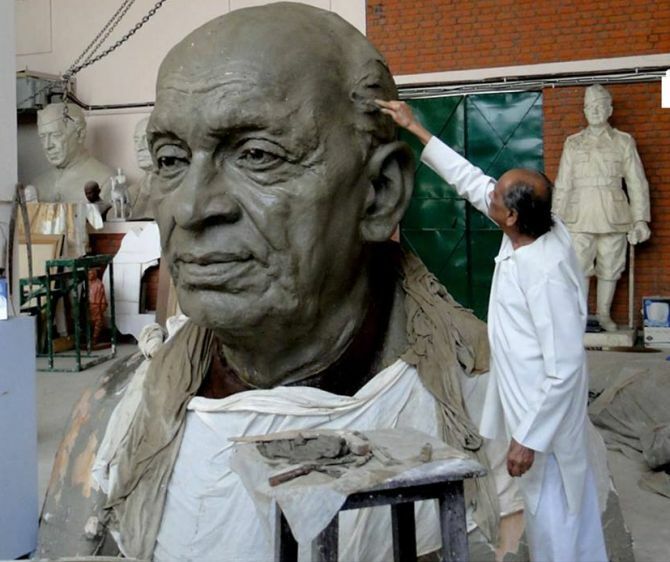 Now, he is a leading contender for the commission to produce the world's largest statue: A 597-foot tall rendering of Sardar Patel, an independence leader who played a crucial role in uniting India's fractious states. It would be nearly twice as high as the Statue of Liberty. In July 2014, India's new government set aside $33 million towards this behemoth's completion, which will require more than 2,500 tonne of bronze alone. Called the Statue of Unity, the work is to be placed in Gujarat, home state of prime minister, Narendra Modi. Modi has long pushed for the project, and his party's landslide electoral victory in May vastly improved prospects for its completion. Selection of the artist could be made within weeks. 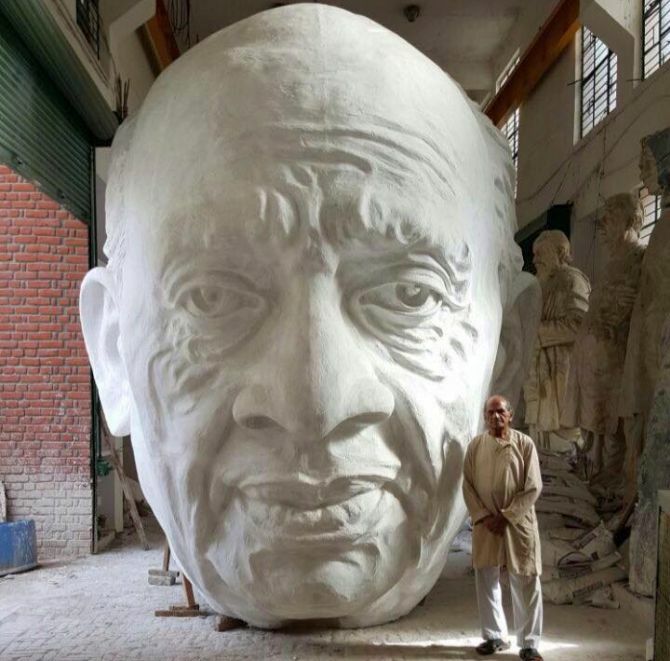 "It's impossible to know if he's the most prolific monumental sculptor in human history, but if he's not, he's got to be pretty close," Melia Belli Bose, an assistant professor of Asian art history at the University of Texas at Arlington, said of Sutar. "He's certainly the most prolific of the last century." Sutar's productivity has slowed recently. Seven years ago, he employed 250 workers and cast more than five tons of bronze every day, seven days a week. The work force in his studio and foundry in this town on the eastern outskirts of New Delhi has since fallen to 35, and he often takes Sundays off. But even now, few artists in the world could match his productivity. Contributing to the demand for his works has been a continuing battle in India to enshrine competing national heroes and narratives. 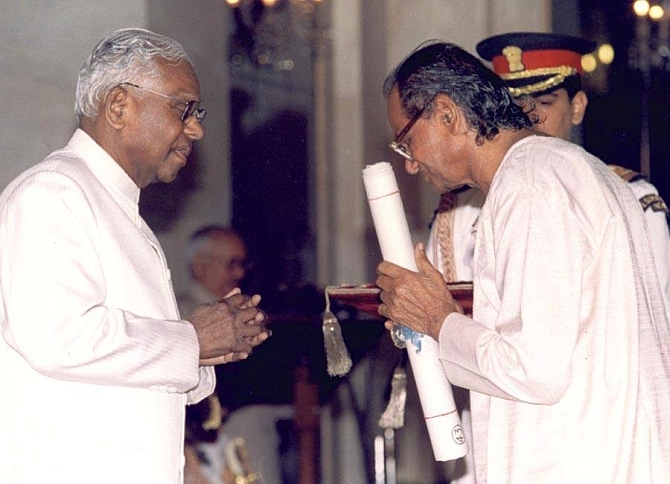 Political parties have associated themselves with differing independence leaders, and officials have used Sutar's sculptures to enhance their own status by further aggrandising their party's favorites. Dalit leaders have seen his solemn monuments as particularly useful in almost deifying leaders who came from this group, once known as untouchables. One reason for making the statue of Sardar Patel (1875-1950) so enormous is to elevate above all others, an independence leader who is not closely associated with the Nehru-Gandhi family dynasty, which still leads the Indian National Congress Party, the chief rival of Modi's Bharatiya Janata Party. Despite his extraordinary success, Sutar expressed profound regret in a lengthy interview about how his more modernist proposals have never been commissioned. During a tour of his studio, he took pains to show abstractions that were never purchased or realised. Art critics deride the almost photographic quality of his commissioned work, which is in socialist realist style. But his son and business partner, Anil Sutar, shrugged when asked about his father's modernist ambitions. "My father has been doing realistic sculptures his whole life, and he will continue to do realistic sculptures," Anil Sutar said. "We don't have time to work on modern sculpture. I have a six-month backlog of orders just for his clay models." 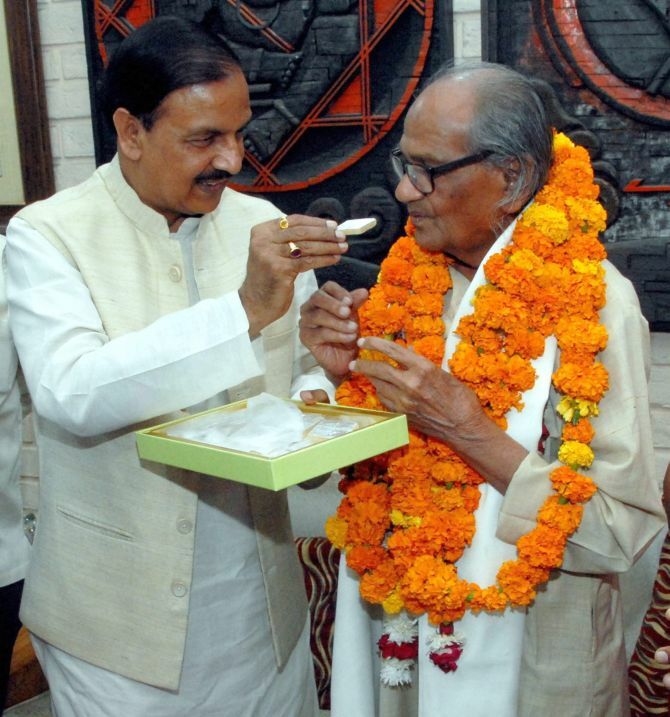 The elder Sutar's career has benefited from a continuing struggle over India's past. His most important patron was Mayawati, former leader of the eastern state of Uttar Pradesh, and few artists have had a more demanding or generous benefactor. She bought more than $33 million in sculptures from him, but her tight deadlines meant that his foundry operated around the clock and he worked more than 80 hours a week through his mid-80s. Her insistence that sculptures be inaugurated on days deemed auspicious by astrologers sometimes led to panicked installations, including one in which a huge statue of a seated Bhimrao Ambedkar, the Dalit drafter of India's constitution, sank the cranes trying to raise it during an intense rainstorm. The sculpture, a deliberate echo of the statue in the Lincoln Memorial in Washington, was finally mounted on its plinth at 11:30 pm, when Mayawati happily garlanded it. The intent of Mayawati's commissions was to immortalise herself and other Dalit leaders, and that meant making sure anyone gazing upon the sculptures recognised the faces. She even instructed Sutar to cast in extra-thick bronze to prevent the works from being taken down or damaged by successors. Some sculptures were beheaded in 2012 after she lost re-election, but nearly all have survived her defeat. "The messages of propaganda have to be clear and can't be subtle," said Bose of the University of Texas. "Ram Sutar's heart may be in the abstract work, but his patrons were interested in political messaging, not art for art's sake." That kind of messaging has long damaged Sutar's reputation as an artist. He was chased out of a cooperative studio early in his career because colleagues deemed his work too commercial. 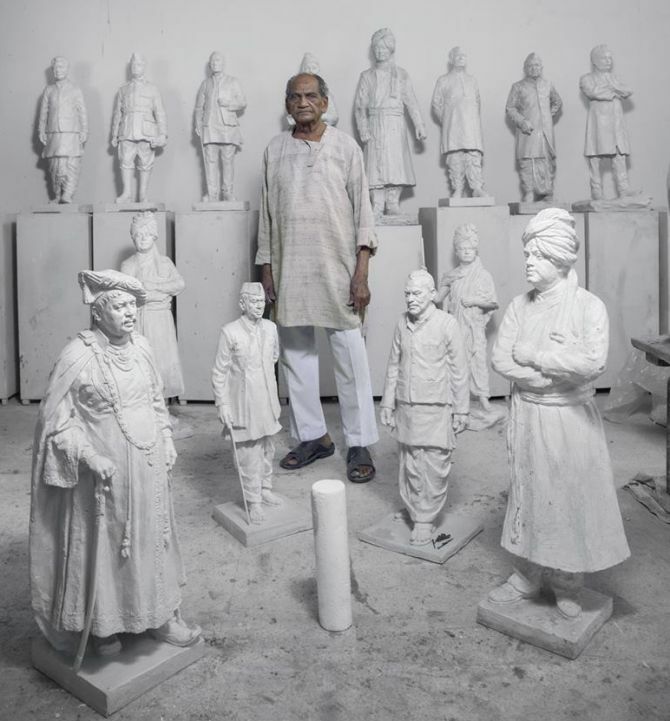 "He is India's official statue maker, and the sheer volume of his work is phenomenal," said Tapati Guha-Thakurta, professor of history at the Center for Studies in Social Sciences, Calcutta. "But he is an artisan, not an artist." Sutar was born in 1925 in a village in northern Maharashtra, the son of a carpenter and blacksmith. Some of his first works were murals painted with cow dung on the mud walls of his family home. He carved a relief of a Hindu goddess on a school writing slate, a likeness that won a prize in an art competition in Mumbai (then known as Bombay). With the financial help of friends, he graduated from one of India's most prestigious art schools and got a job restoring ancient Hindu statues in the Ellora and Ajanta caves. 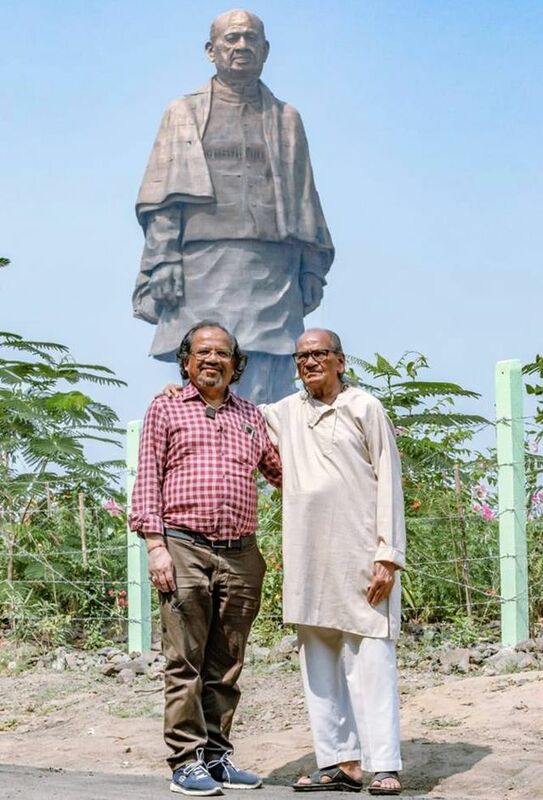 His breakthrough came when he agreed to create a 45-foot statue of a Hindu river goddess beside a dam in northern India for just Rs 10,000, or about $166 now. Few thought he would complete the commission. He moved his wife and young son to that remote site and spent 18 months in the early 1960s chiseling a huge block of concrete. 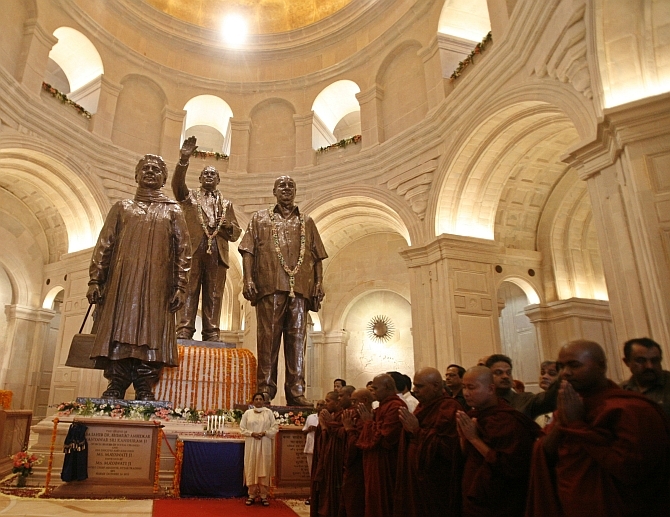 The statue's completion led to a stream of commissions and introductions to many of India's leaders, including Jawaharlal Nehru and Indira Gandhi. 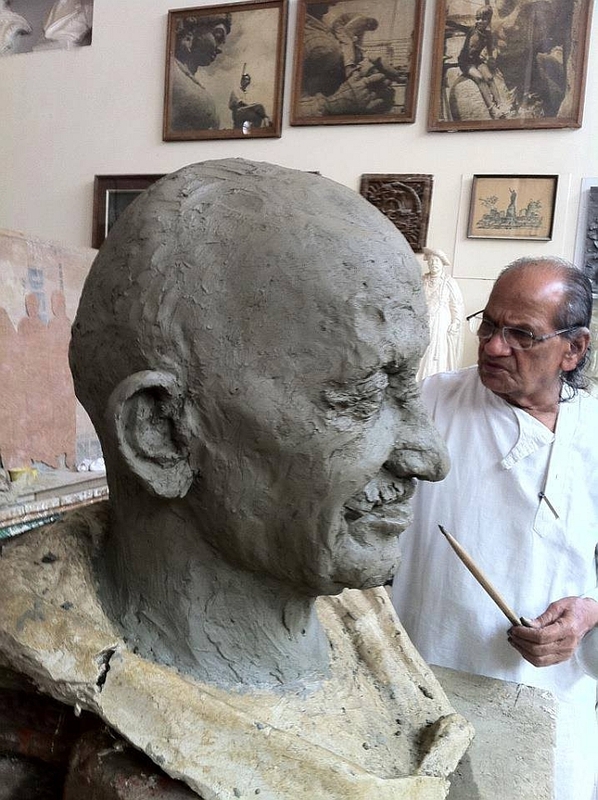 His most successful piece is a contemplative bust of Mohandas K Gandhi, bronze copies of which the Indian government has sent as gifts to hundreds of cities around the world. Other statues adorn the Indian Parliament and state capitols throughout India. 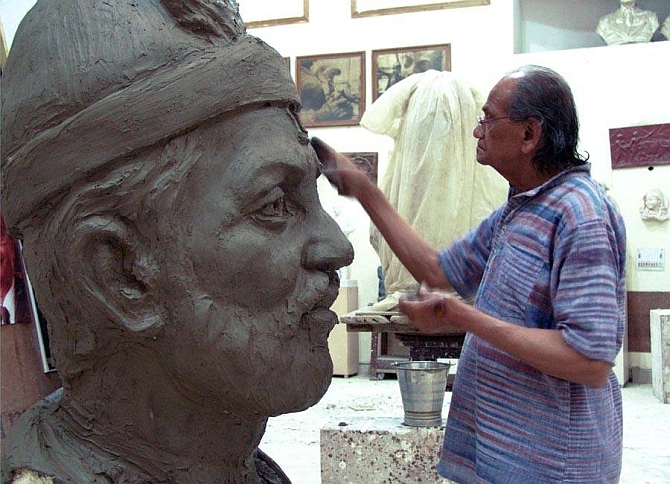 All of his sculptures start as clay models, which he usually takes about two months to complete. A mold of the model is made with plaster of Paris, which is used to create a fiberglass replica. It once required months, precise measurements and myriad calculations to enlarge his initial work into gigantic forms that never reflected the models precisely. But an oversize computer-controlled drill that bores into titanic blocks of plastic foam has reduced from months to days the time needed to scale up his models. "Sculpture is not like painting," Sutar said. "It often involves a lot of hard, physical work. And I think I can keep going for a long time." Hey Mr Owaisi, these are Muslims too!